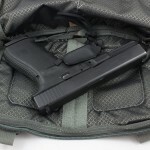 Carrying a firearm while hiking can be a challenge for a variety of reasons – options for accessibility, comfort, concealment, and weight balance quickly diminish with a full pack strapped on. 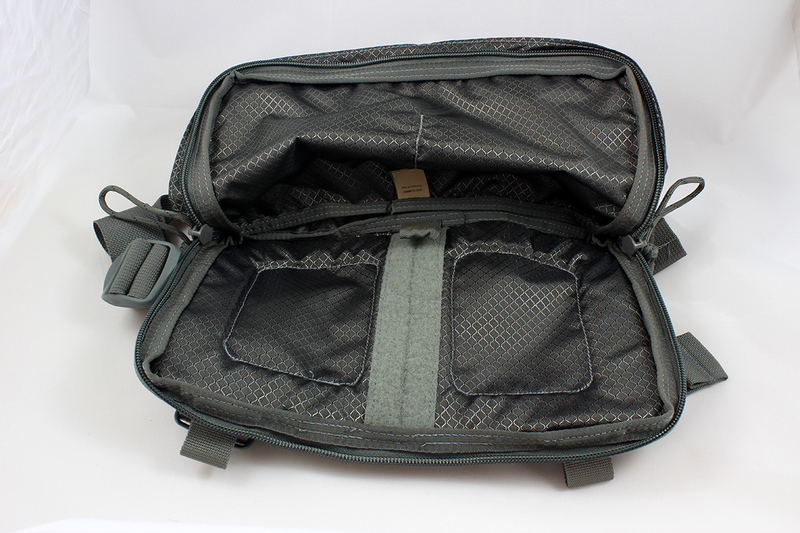 Fortunately, Hill People Gear has created an effective solution for carrying handguns of all sizes with their line of Kit Bags. 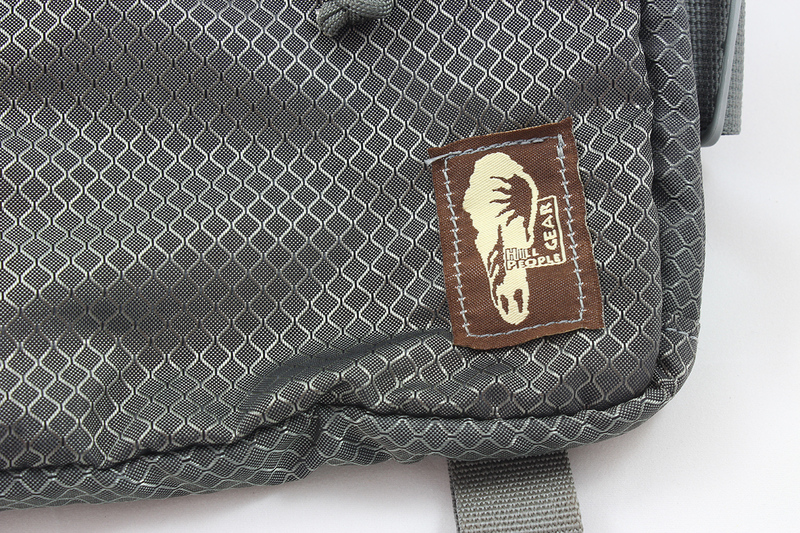 The HPG Runner’s Kit Bag ($85.00) is particularly appealing for hiking. 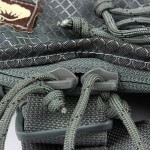 A hiking pack’s hipbelt blocks off the waist area and covers pockets, making conventional carry methods such as OWB/IWB and pocket impractical in many cases. Although chest and shoulder holsters are available, some jurisdictions require that the firearm be concealed, and many owners prefer to carry concealed even when not required as to avoid drawing attention. 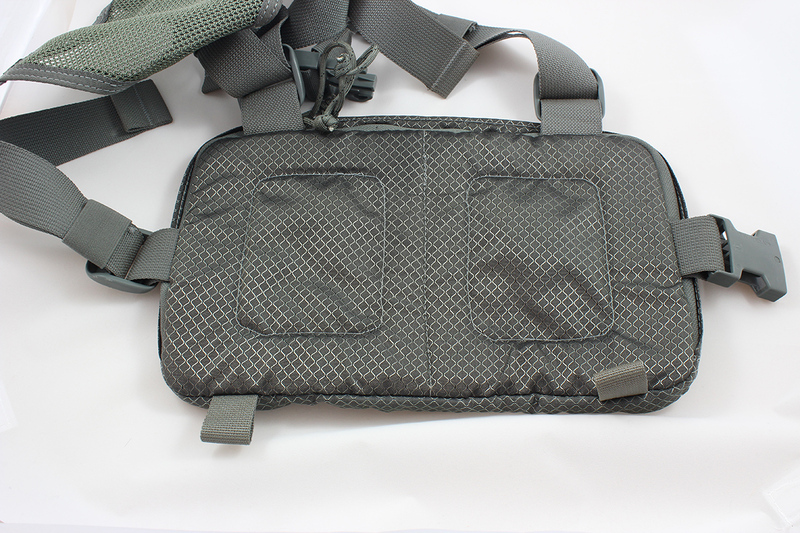 Holster selection narrows pretty rapidly to one or two options similar to Wilderness Tactical Products’ Safepacker Holster. 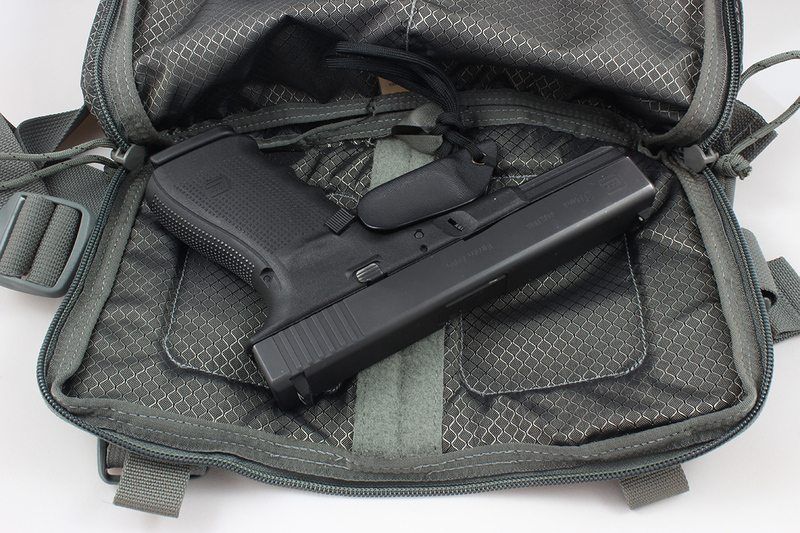 The Safepacker Holster looked decent and was on my wishlist until I saw the HPG Kit Bags mentioned on a forum. 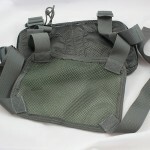 HPG currently offers six different kit bags of various sizes. 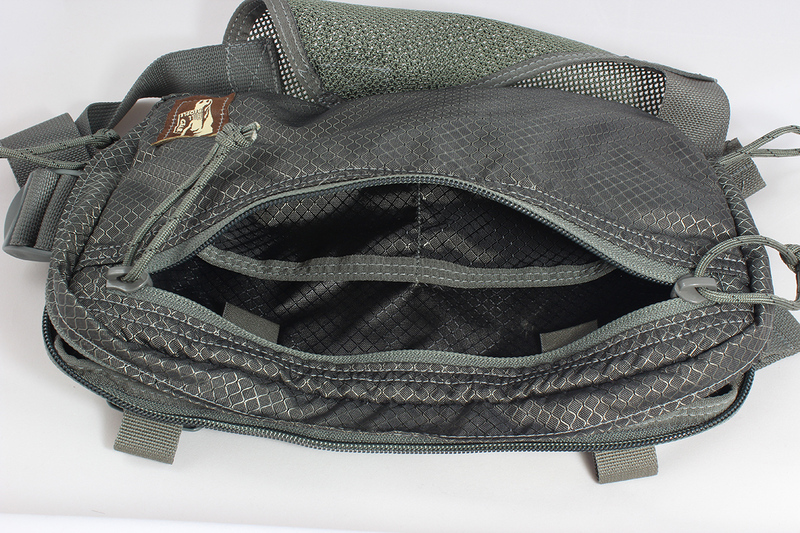 I was looking for one to hold a full size handgun and little else, so I chose the Runner’s Kit Bag. 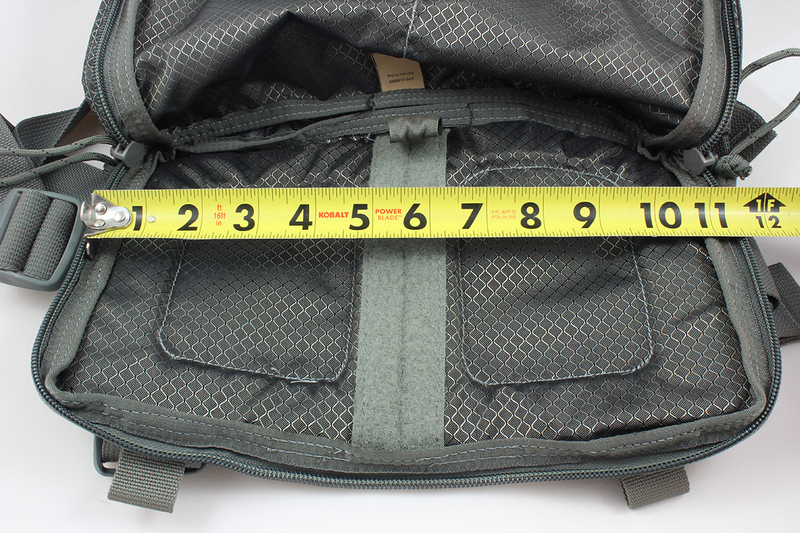 It has the same width and height as the regular kit bag, but is half the thickness at one inch. 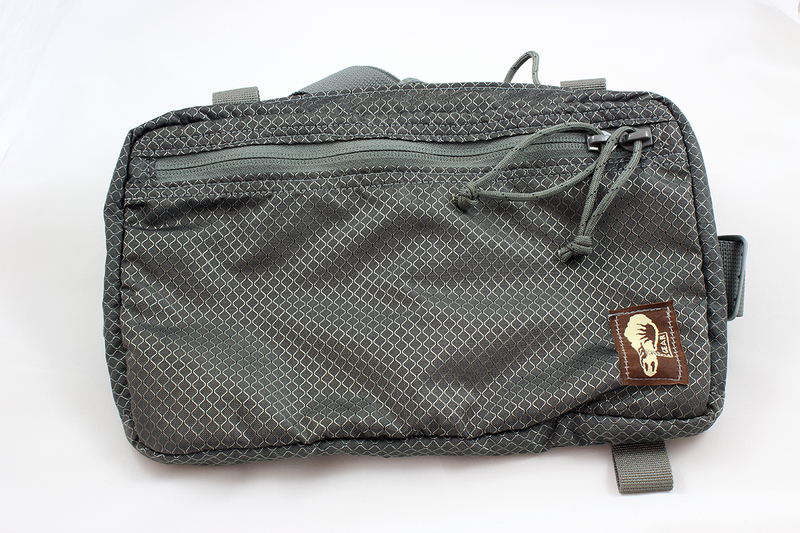 While it’s not really possible to be discreet about a large bag strapped to my chest, I selected the “Grey Ripstop” version since the ripstop fabric gives the kit bag a more generic outdoors gear look. Two grimlocs. 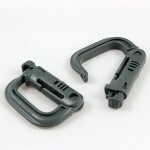 For attaching to other straps or gear. Stabilizer kit. 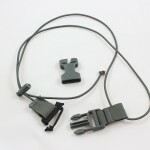 This consists of an adjustable elastic strap with a clip on one end and buckle on the other. 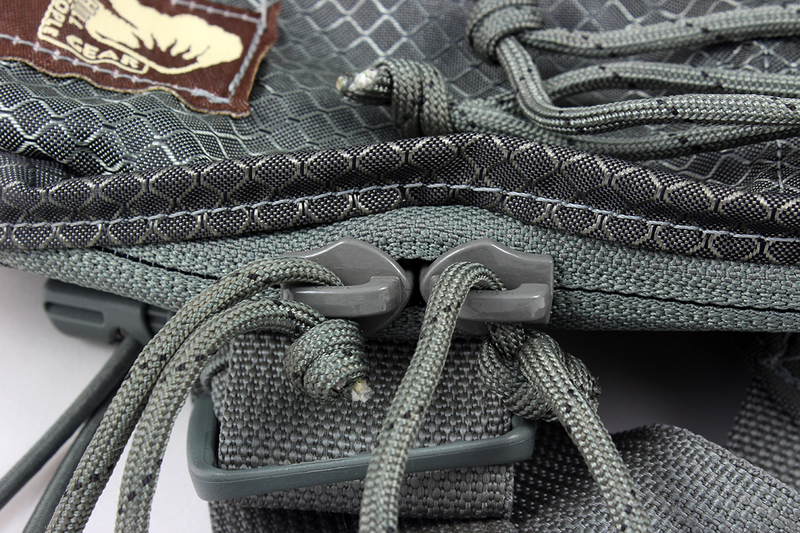 The clip attaches to one loop on the underside of the bag while the buckle attaches to the other. 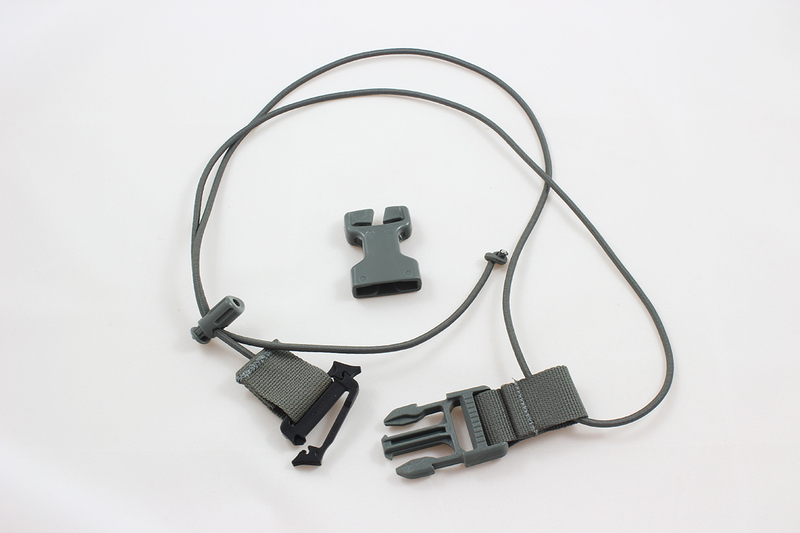 Use of this strap is optional, but it helps secure the bag during high-movement activities. 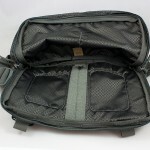 Each bag is constructed from 500 denier nylon, which has a medium weight and feel. Stitching both feels and appears solid. Binding along the inside edge of the pouch adds noticeable stiffness, which makes getting into the bag a bit easier. 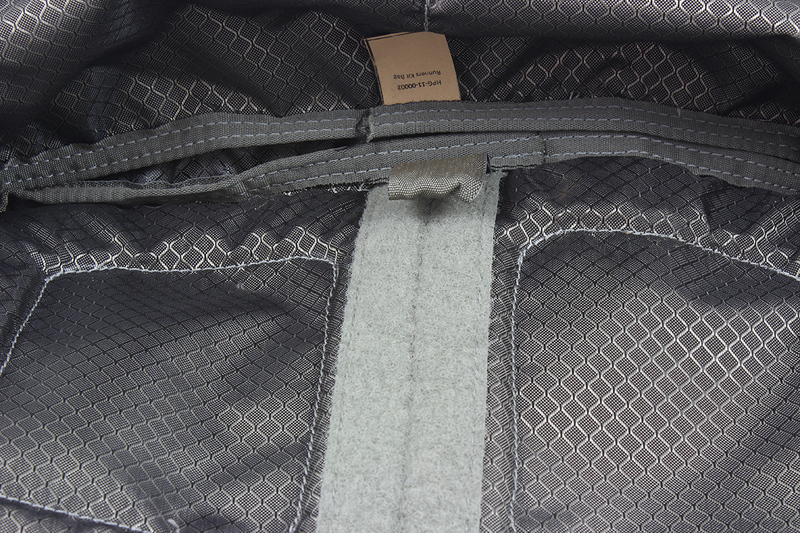 The backside of the bag has padding on two sides in a hollow rectangle shape; in the image below of the bag, the center rectangles are the areas which lack padding. Zippers are beefy and have color coordinated nylon cord pulls attached. Weight with everything but the grimlocs attached comes to 12.17 oz. 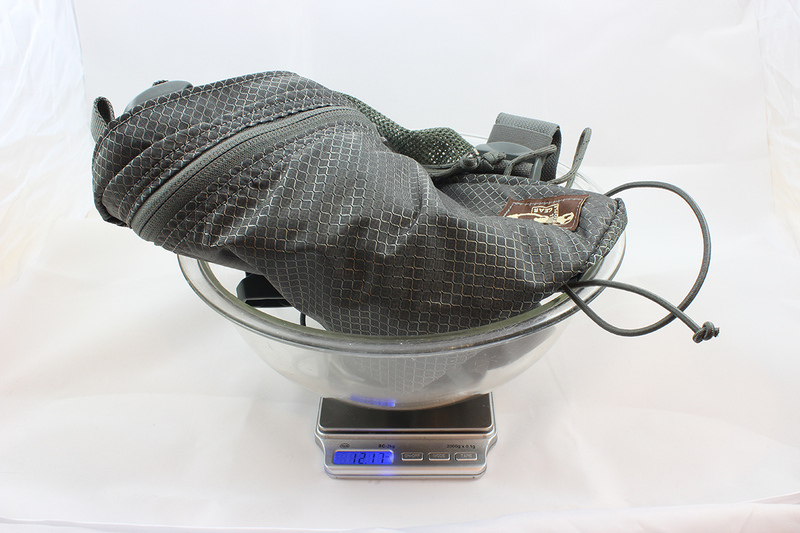 The Runner’s Kit Bag has a main compartment and a separate front pouch. 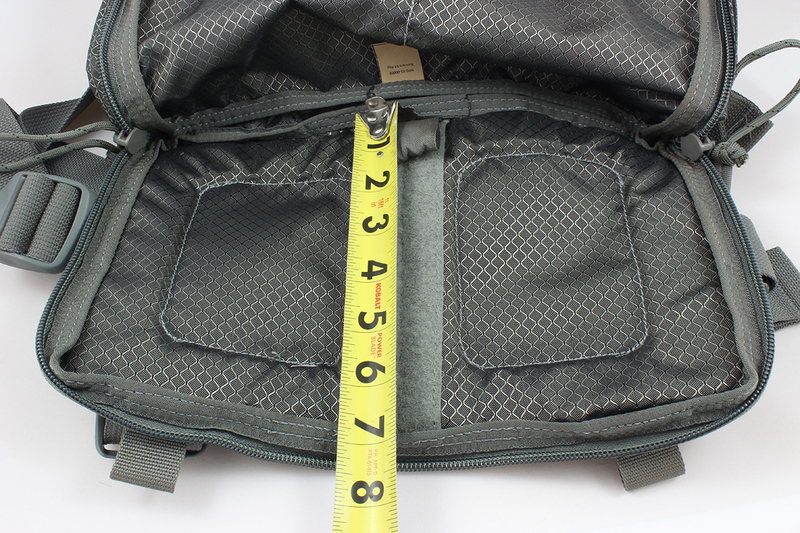 The main compartment measures pretty close to 7.0” high and 11.0” wide, and has a 1.5” wide Velcro strip running the entire height of the compartment. This is intended to secure a holster of the user’s choice. 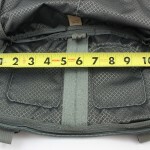 The smaller pouch on the front of the bag measures about 11.25” wide and 7.0” wide and has a depth of about 6.0” from the zipper. 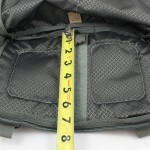 Inside the front pouch are two 4” deep pockets and two loops at the top for attaching or hanging items. 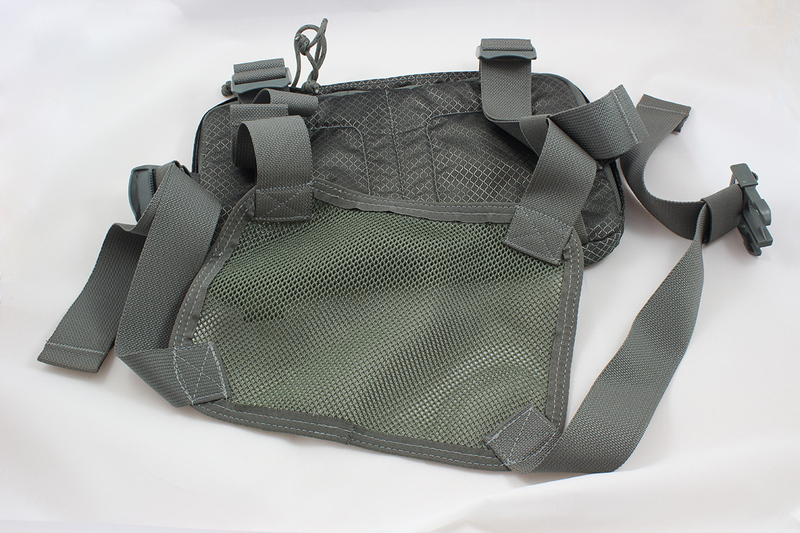 The bag is worn using a harness made from nylon webbing attached to a mesh back. I found the harness to be comfortable and work well under a pack, with the mesh providing adequate ventilation as expected. For a test, I took the Runner’s Kit Bag on an overnight trip and hike in Caprock Canyons State Park with a Gen 4 Glock 20 (40.5 oz loaded). 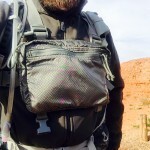 I set the bag up for carry by tying a Raven Concealment Systems Vanguard holster up against the loop on the bottom of the main compartment. 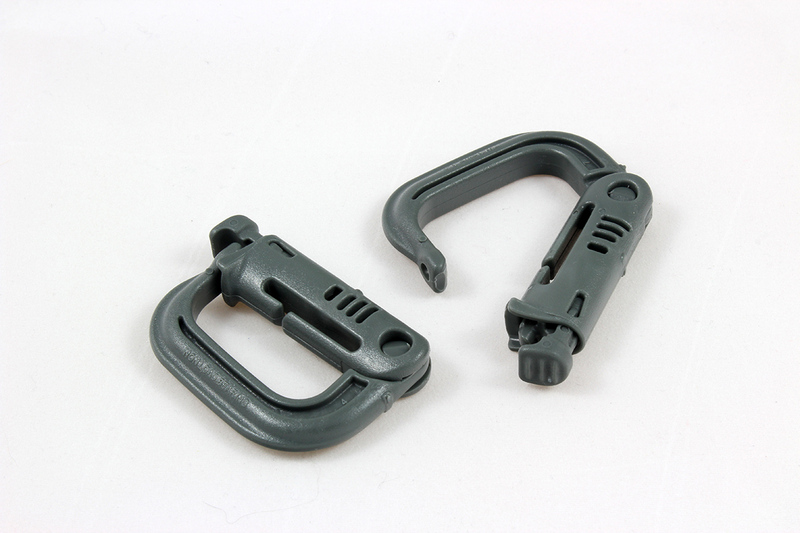 This allows the gun to clear the simple trigger-covering holster quickly and easily. I noticed the Glock printing in the bag at the parking lot, so I put my folded park map in the front pouch – problem solved. 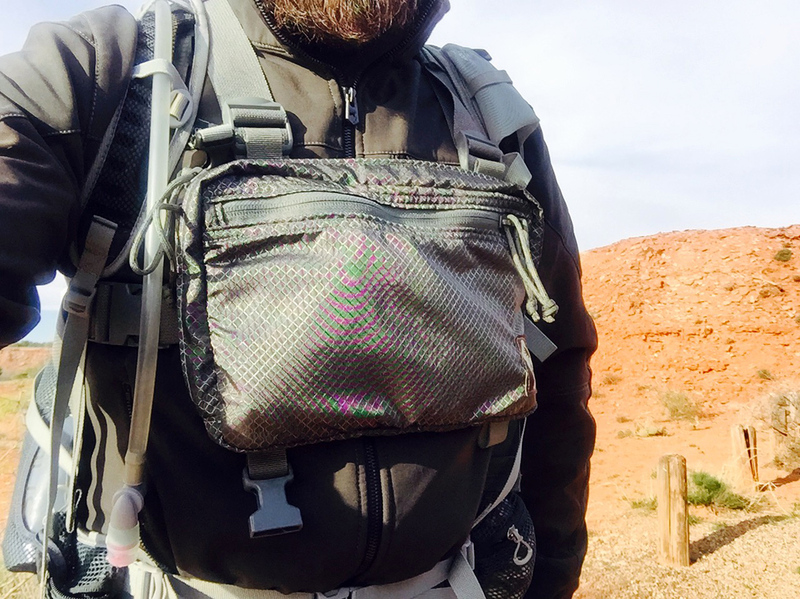 Despite looking a bit dorky/tacticool, the kit bag felt comfortable and secure for the short three-quarter mile hike to camp with a full pack and during subsequent setup of the campsite, so I was optimistic about the longer hike the following day. I wore the kit bag with a full pack for about 6 hours as we explored the park and hiked about 11 miles. Overall, it performed great. In addition to holding the 2.5 pound gun very comfortably and securely, it was very nice having a chest pouch to hold things that need to be readily accessible, like the map. However, I did have two problems with the bag – one very minor, one major. Weather was in the 60’s, but I was still sweating underneath the kit bag. This is pretty minor since it comes with wearing anything that reduces ventilation, but any clever ways to help get some airflow behind the bag during use would be a plus. The main issue was jamming zippers, which happened twice. 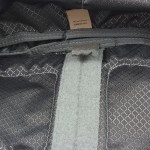 The first time it happened, the zipper on the main compartment snagged the adjacent fabric lightly and I was able to back it off easily. 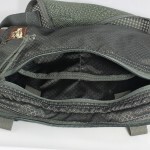 Later in the day, I reached for the zipper on the small pouch and inadvertently grabbed the pull for the main compartment. When I tried to open it, the zipper grabbed the fabric and jammed, and it jammed badly. I was unable to move it for the remainder of my hike. Had this happened when trying to go for the firearm, I would have been SOL. In this case, it was just a nuisance. I moved the opposing zipper up to close the pouch and, after a couple minutes of working on it, finally removed the fabric from the zipper once I got back to the car. My recommendation would be to stiffen the flap covering the zipper so that it displaces smoothly and prevents bunching/snagging on zippers. For now, I’ll just be diligent about ensuring fabric near the zipper is folded away. Despite the zipper issue, I still really like the bag and the carry option it allows. The Hill People Gear Runner’s Kit Bag is well constructed, looks good enough (as good as a chest bag can), and I certainly feel that I got what I paid for. 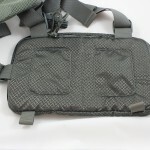 I would definitely recommend it for any hiker looking for a good method of concealed carry, and I predict my Kit Bag will get a lot of use on future hikes.